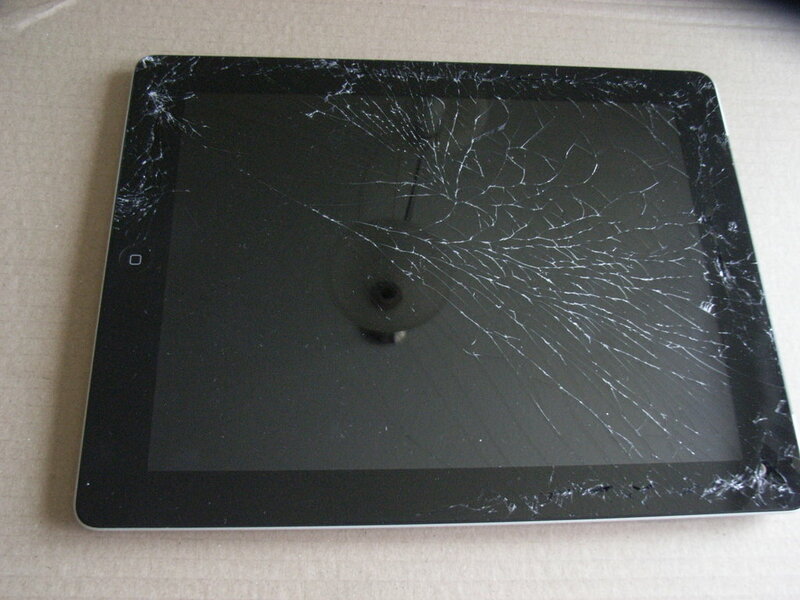 This iPad 3 (Apple Model A1430) had a close encounter with the pavement. 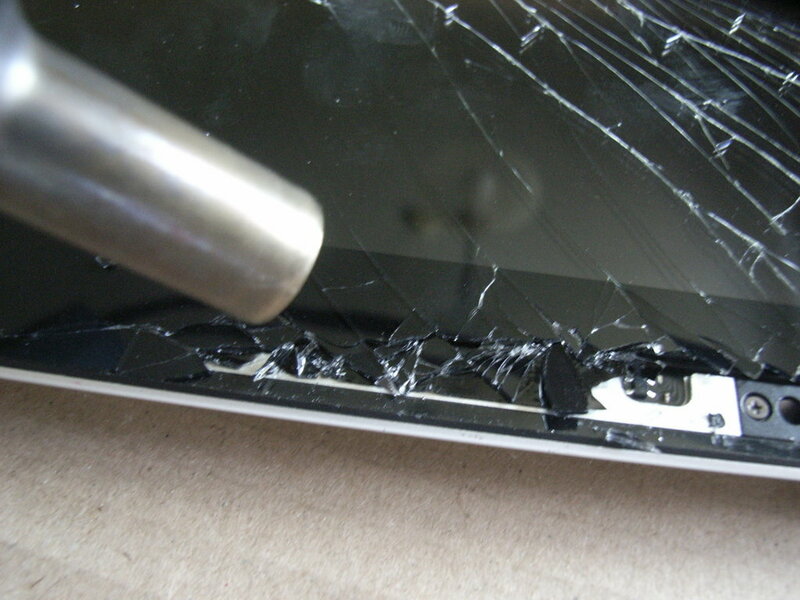 The shattered touchscreen / digitizer (= TD) is almost a piece of art (imho...). Here you can see how the power of the impact travelled through the glass. Sadly - but typical for most of Apples streamlined and thin products - a heatgun and a lot of time and patience were necessary to work my way through the adhesives to the undamaged LCD module. Here I flipped the TD over. 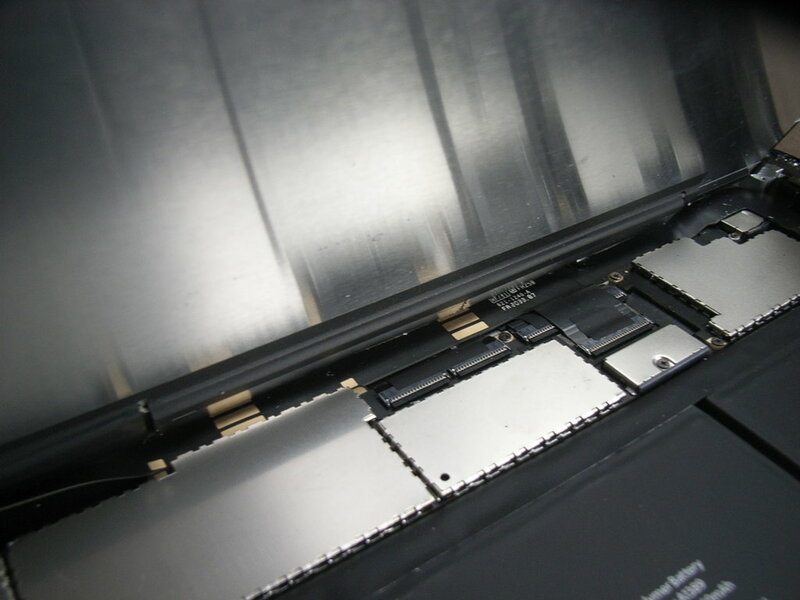 Here the TD flex cable is still connected to the main logic board. 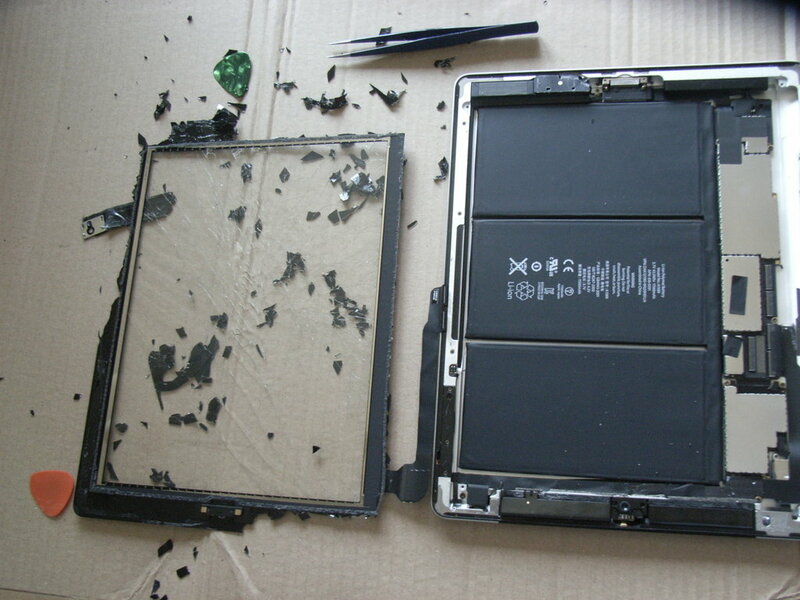 Below the LCD everything was fine. 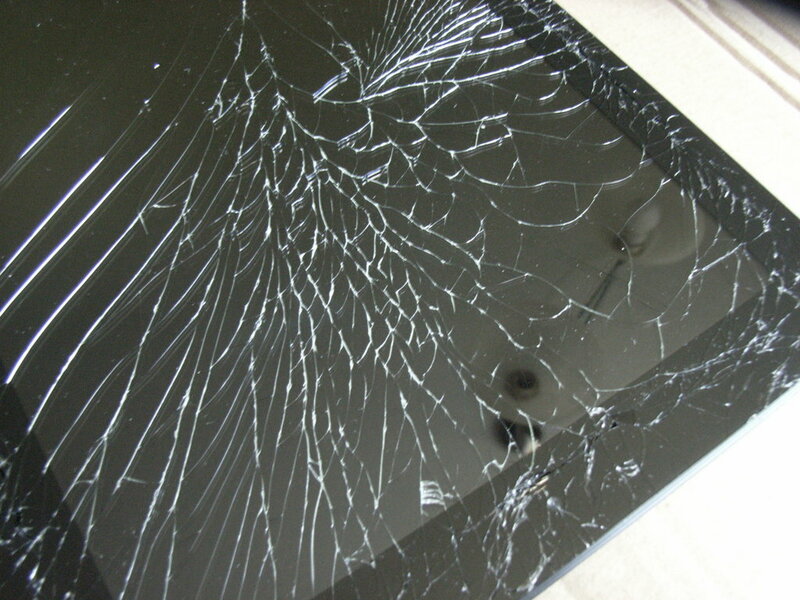 Only some fine glass shards everywhere. 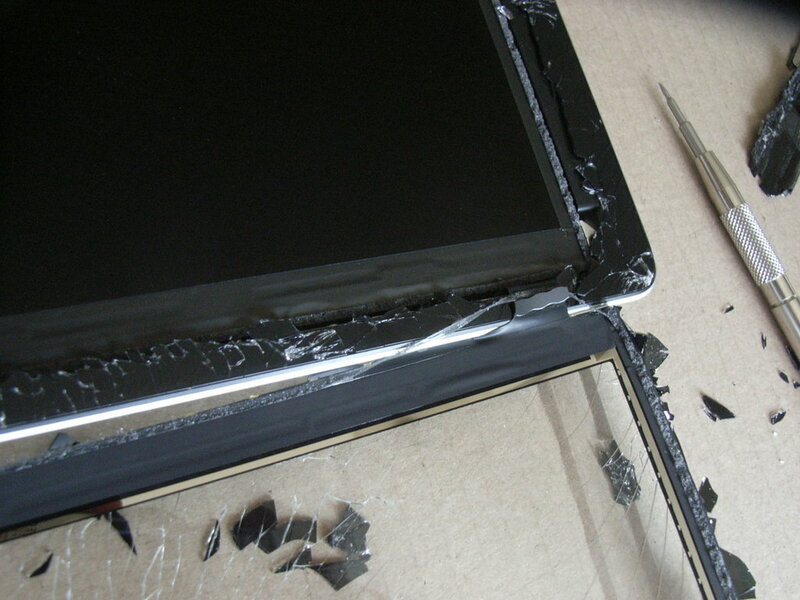 I removed and secured the LCD while I cleaned the iPad´s case and innards from shards and remaining adhesive film (some hexane will quickly dissolve the adhesive - but wear a breathing mask for this). The glass shards were not so sharp as they look like by the way. If you work carefully the probability of hurting yourself seems quite low (just my estimation, though...). After one endless hour of collecting sticky shards and blowing out glass dust, I could place new adhesive foil, re-connect all flex cables and put the thing together again. 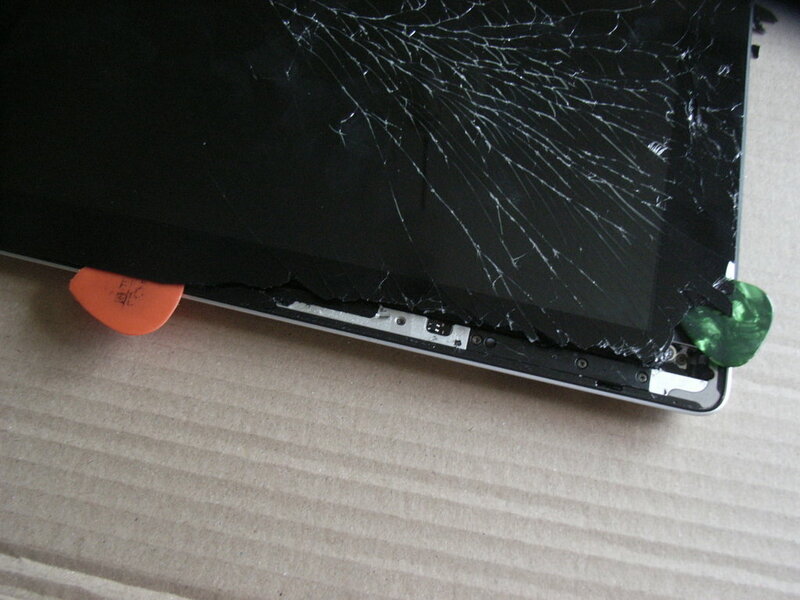 If you dare to repair an iPad 3, too, ensure two things before you press the glass down on the adhesives (there is almost no way back - at least no heatgun-free way...). First thing: EVERYTHING has to be working fine. 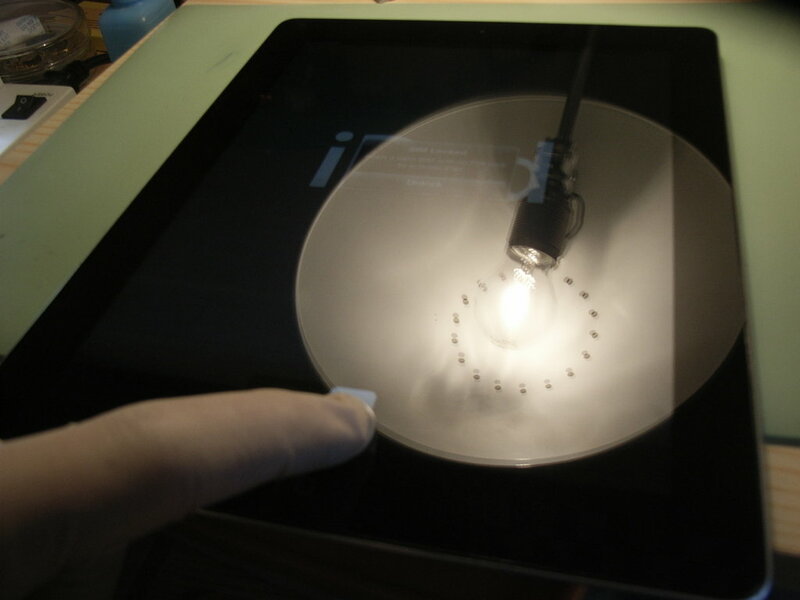 Test the functions of your iPad! Check that there are no remaining dust particles in the case or on the LCD / TD unit. Fine dust particles can be removed with a well-directed blast of clean air or some fresh Rodico (simply google this - it´s commonly used in watchmaking).